Emma Ramsay has been part of the Digital Radio Project at the CBAA since July 2011. In the the role of Project Assistant, she maintains station EPGs (Electronic Program Guides) assisting stations with training and creation of image and text data layers for digital radio. She began in the community radio sector at 2ser 107.3FM Sydney as a volunteer presenter and producer. 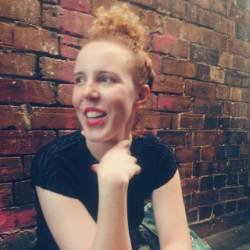 Emma has experience in the arts community as a musician, curator and producer. The biggest obstacle facing women today could be continuing the fight for visibility and autonomy in every day life. This International Women's Day, I will be checking in with myself regarding the privilege and the opportunities I have had in my life, my education and freedoms I enjoy. I'm looking forward to hearing diverse, strong feminist voices during Girls to the Mic! And will no doubt discover even more women who continue to inspire change in the world whether it be as local or global offering.